Anyone else watch "Lamb Chop" as a kid? You know, that kids' show that featured the infamous song that never ends? "This is the song that never ends. Yes, it goes on and on my friends! Some people started singing it not know what it was, and they'll continue singing it forever just because this is the song that never ends...." and so on. So, this is the project that never ends. And it's still going, my friends. 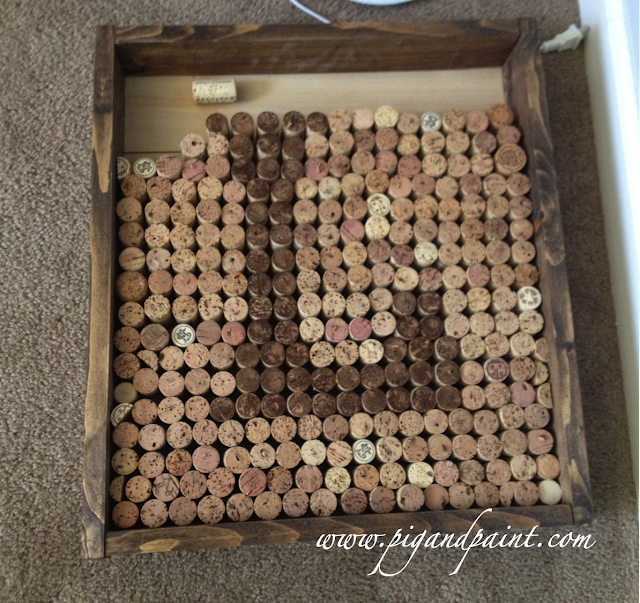 I had this idea to build a shadow box, and make a wine cork monogram. 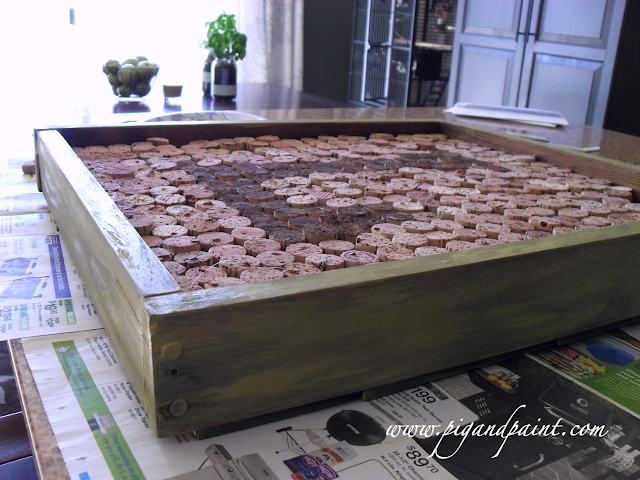 I wanted to fill the entire shadow box with corks, and stain the corks making up the monogramed letter. Turns out, one must drink copious amounts of wine in order to have enough wine corks to finish this project. I started this project almost a year ago. And I still am 8 corks shy of finishing. 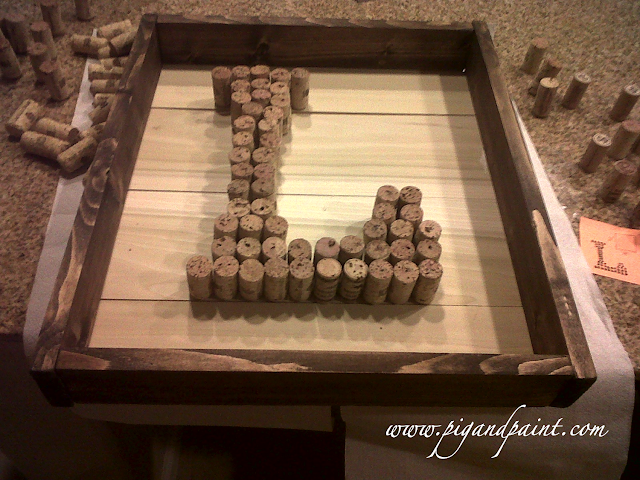 I started by blocking out where my L would go, by simply standing the corks in the box (no glue yet). I used a pencil to mark where the edges would go. Then, I used a teeny bit of wood stain, and stained the ends of the corks making up my letter L. I used hot glue to affix them in the box. And then I started filling in the remaining open space with corks, which I also affixed with hot glue. At one point I decided I wasn't thrilled with the dark-stained frame. Don't get me wrong -- I love a good rustic stain, but I wasn't super excited about all of the brown that was ending up in finished piece. 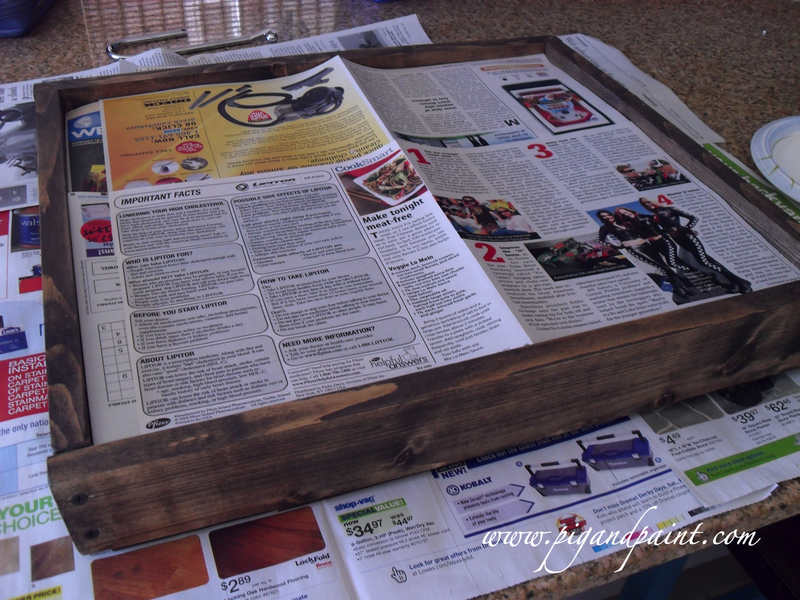 I laid some newspaper down on my corks to prep the frame for painting. 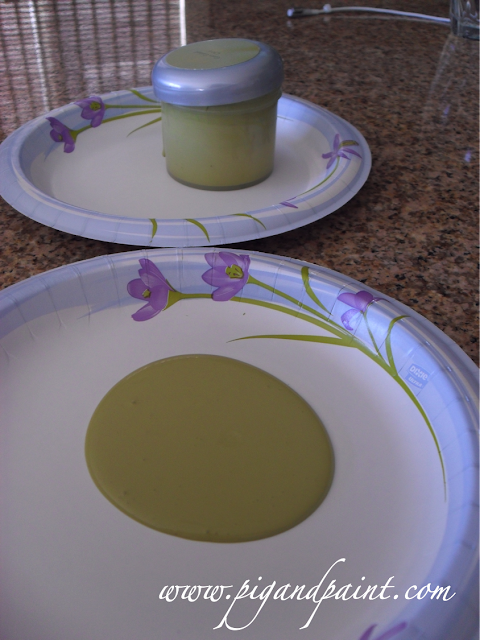 I used a sample paint I had leftover from a past project, in muted chartreuse. I started by brushing a light, but even, coat on the outside and front of the frame. 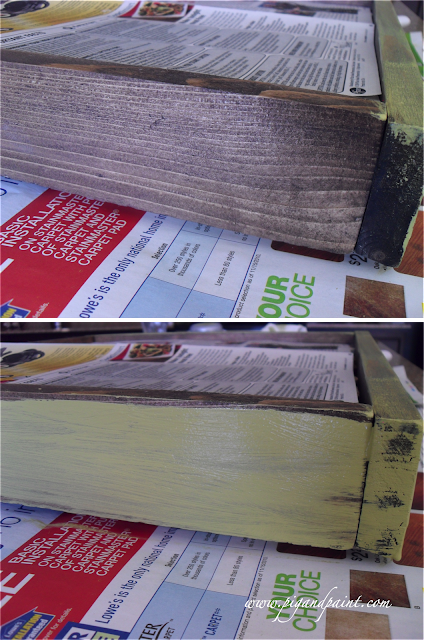 I then used a paper towel to wipe off all of the excess paint, so that the wood grain could sneak through. 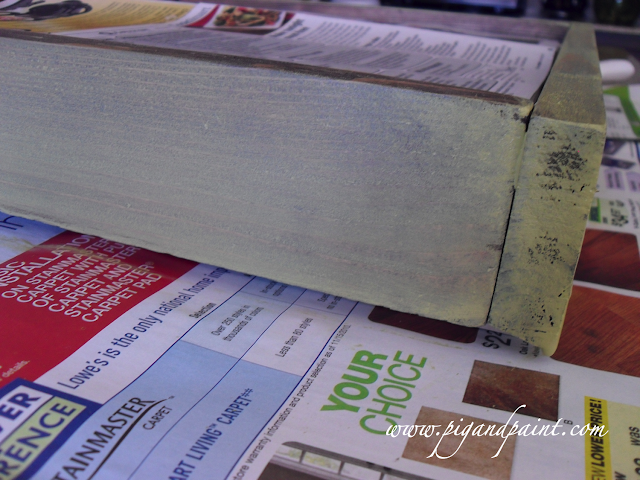 I did a second coat of green paint, using a dry-brushing technique. And this is how far I've gotten. I'm about 8 corks short of finishing the project. Argh. More to come on this one! Do you have any projects that just never seem to end?